One Week until our next 2k! You’ve been training hard all winter with a goal pace in mind. Today is the day to attack it and dial it in. Those with experience know the benefit of pacing, gaming, and executing a plan to produce a personal best performance. In the end a game plan facilitates mental toughness and focus to deal with pain when things get tough. 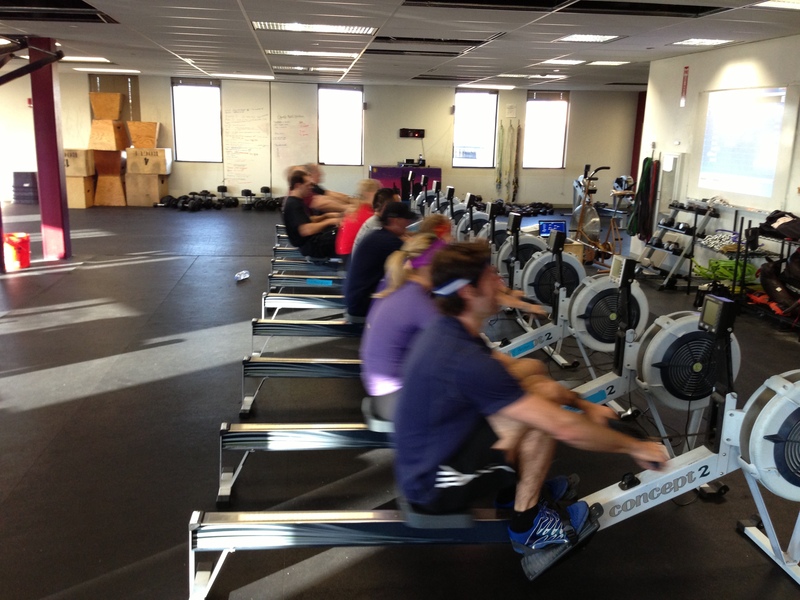 Next weekend we will be testing our 2k, perhaps as part of Open WOD 13.4. Get ready to crush a 2k in your hometown gym with a friend. Today’s focus is executing your goal 2k race plan at high intensity. Set the monitor for intervals distance with 1 minute of Work and 45 seconds of Rest. Row the first two pieces as if they were the start of the 2k. Row the next three pieces as if they were part of the second 500m, Row the next three pieces as if they were part of the third 500m, and finish the last two pieces with a sprint like the end of a race. This should not be an all out Max Effort, but rather a calculated effort at a split close to your goal split. The goal should be to pull the lowest split possible, consistently through all 10 intervals. If you have a good start and settle in the first two pieces and a solid sprint for the last two pieces then you’re average split for all 10 pieces should be that goal split you’d like to hit on the 2k. Post your Splits and Distances for each piece to comments. Great workout today. Split time of 1:42.7. Sub 7 2 km next Saturday. Keep the workouts coming. I really like them. Great job Ryan. Have no fear, Coach ALWAYS brings the pain. He’s evil like that!